Did Mel Gibson Beat Up His Ex? 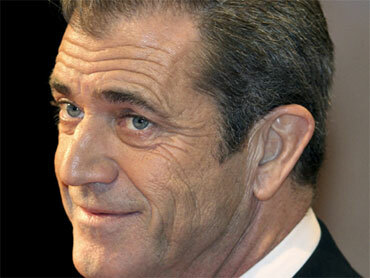 Mel Gibson is in hot water again. This time, law enforcement officials say the actor and Oscar-winning director is under investigation over a possible domestic violence incident involving his former girlfriend. CBS News correspondent Bill Whitaker reported "The Early Show" Friday that law enforcement officials say they've opened a preliminary inquiry into claims the star physically abused his former girlfriend, Russian singer Oksana Grigorieva. Steven Zeitchik, a Los Angeles Times staff writer, said, "We don't know exactly what happened between them and how much of it was in the heat of the moment, but if these statements turn out to be remotely true, I think Mel Gibson has a lot to answer for." The Los Angeles County Sheriff's Office says it is "gathering information regarding the allegations," which stem from an incident last January at Gibson's Malibu mansion. The 54-year-old actor and Grigorieva split in April after dating a year. They're now locked in a bitter custody battle over their 8-month-old daughter, Lucia. The website RadarOnline claims it obtained recordings of the alleged attack. According to the website, Gibson can be heard hurling vicious racial and sexual explitives at Gregorieva while hitting her. Gibson has had well-known problems dating back to 2006, when he stunned Hollywood, making anti-Semitic comments to law enforcement officers who'd arrested him for drunk-driving. He was quoted as saying, "Jews are responsible for all the wars in the world." Gibson later apologized publicly for behavior he called "despicable" and sought anger management counseling. Zeichik said, "I think, after this incident, if the allegations prove to be true, there's going to be a lot less slack cut, and arguably, his film career may be done." Gibson became a star in the early '80s, playing an action hero in the "Mad Max" movies. But it was the "Lethal Weapon" films that sent him to super-stardom. Gibson hasn't commented on the domestic violence allegations.